A new RAND Corporation report explores nine potential paths to Korean unification and recommends actions that the Republic of Korea (ROK, or South Korea) and the United States can take to set the conditions for stable reunification, should the opportunity arise. To better capture this uncertainty and formulate approaches to manage it, the report examines challenges that could dramatically affect how the reunification process might develop and how it might ultimately be resolved. The RAND report concludes that the ROK should try to avoid paths involving armed conflict on the Korean Peninsula because the use of weapons of mass destruction by the North would be disastrous for both countries. A negotiated unification after North Korean regime collapse is a more desirable unification path. To increase the potential for a good outcome, the report recommends that the ROK begin developing policies to provide most of the North Korean elite with a favorable life post-unification to ensure their cooperation in the unification process. The ROK and United States should also actively counter North Korean regime propaganda that Kim Jong-un is a benevolent peacemaker and a god-like leader, according to the report. These beliefs could facilitate a Kim-controlled unification, which could be a disaster for the people of the ROK. 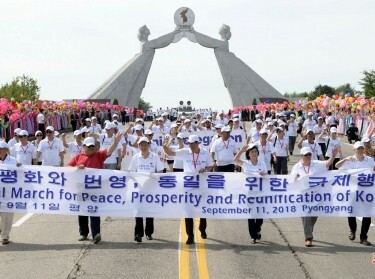 The report, “Alternative Paths to Korean Unification,” was sponsored by the Korea Foundation and conducted within the International Security and Defense Policy Center of the RAND National Security Research Division (NSRD). NSRD conducts research and analysis on defense and national security topics for the U.S. and allied defense, foreign policy, homeland security, and intelligence communities and foundations and other non-governmental organizations that support defense and national security analysis.